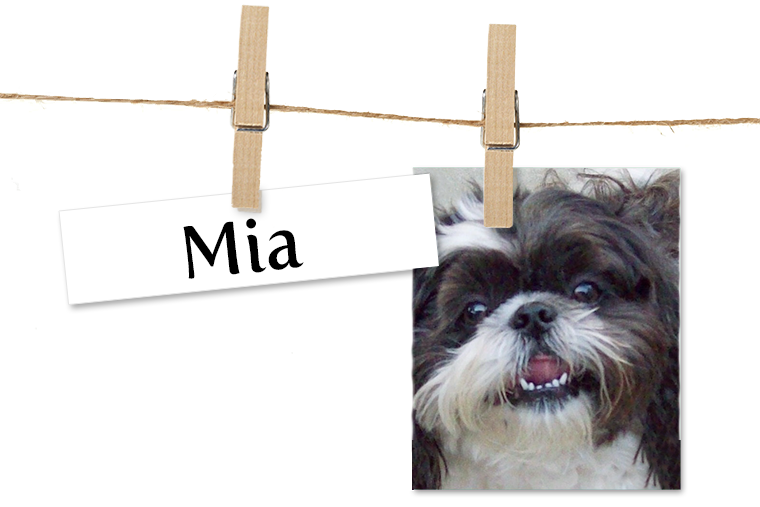 Meet Mia, The Shih Tzu Who Stole Her Owners Heart!Meet Mia, The Shih Tzu Who Stole Her Owners Heart! Meet Mia, The Shih Tzu Who Stole Her Owners Heart! Story My name is Mia. I am a female Shih Tzu and I'm 8 years young. I am spoiled, but my Mommy and Daddy tell me I am worth it! I love it when my Mommy orders toys and goodies from Entirelypets.com, because when the Mailman comes, my Mommy takes me to the mailbox to see the surprise inside!